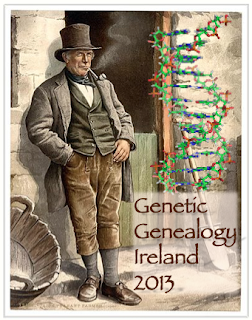 Genetic Genealogy Ireland 2013 was a 3-day series of DNA lectures which ran at the Back to Our Past event from Oct 18-20 2013. The presentations covered a broad range of topics of interest to the Irish public and anyone with Irish ancestors. 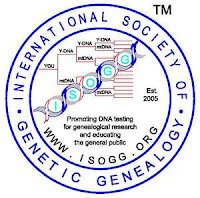 The lectures were sponsored by FamilyTreeDNA and organised by ISOGG (International Society of Genetic Genealogy). With speakers from Ireland, the UK, and the US, the comprehensive scope of the presentations ensured that there was something for everyone, whether beginner, intermediate, or advanced. To see the daily schedule for the DNA lectures, just click on the appropriate day below. You can see the complete lineup of speakers and what they talked about on our Speaker Profiles page. The 3 main DNA tests - which one is best for you? What does DNA tell us about the Irish Clans? The lecture series took place at the Back to Our Past exhibition at the RDS (Royal Dublin Society) in Ballsbridge, Dublin from Friday 18th October to Sunday 20th October 2013. 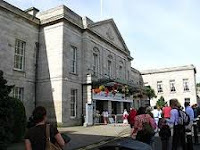 The previous year at BTOP there were over 250 exhibitors and 20,000 visitors, making this Ireland's biggest event dedicated to genealogy and related topics. As in previous years, there were two other series of lectures at the event, devoted to the related topic of "traditional" genealogy. These were organised by the Association of Professional Genealogists of Ireland (APGI) and sponsored by Rootsireland. You can see from the 2013 lecture schedule that the topics were very relevant to anyone with Irish ancestry. The creme de la creme of Irish genealogists were at this meeting so it was a perfect opportunity to network and to address those difficult questions that remain to be answered in any of your own Irish ancestral lines. Founded in 1731, the RDS hosts the famous Horse Show each year and its Exhibition Centre is equivalent to London's Olympia (where Who Do You Think You Are? Live is hosted each year). It is surrounded by parks, restaurants and affordable accommodation, from Bed & Breakfasts to reasonably-priced hotels. The venue is 15 minutes from Dublin's historic city centre, 5 minutes from Lansdowne Road Football Stadium, and is easily accessible by public transport (both bus and DART). 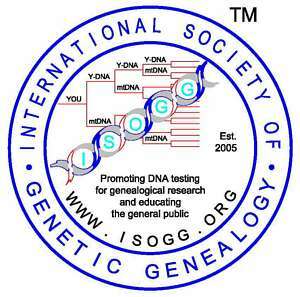 The BTOP event is a real opportunity for you to learn more about the importance of genetic genealogy to your own Irish family history and hopefully many more Irish people will be persuaded to get tested and join DNA projects for their Irish surname. FamilyTreeDNA had a stand and were the first commercial company ever to offer DNA testing to the Irish public at the conference. There was also a limited number of free DNA tests available and there still are - you can find out more about them on the Free DNA Tests page. Back to Our Past will be repeated next year from October 17th to 19th 2014. Be sure to put these dates in your diary now! See you at BTOP 2014 ! This is a great opportunity - but since I'm in the USA, I doubt I'll be able to attend. WE are willing to help PAY for a DNA TEST for any male BOnnell - BUnnell in Ireland and surrounding areas. Please contact me. Thanks for getting in touch Steve. I'll ask my colleague Derrell to contact you and we will arrange for your offer to be publicised at the conference. Hopefully, you'll get at least one new project member. ... Thank You for passing this along. Hope to be there Maurice! I would like so much to learn more about my Cork great Grandmother Sullivan and in the process discover my Irish cousins. I have her mtDNA so if any of her mother's descendants take the DNA test we will find each other.